When most think of online business, many think of Network Marketing, MLM or even Affiliate programs, right? Well today Shane and I are talking about turning what you already know into an income stream. We also talk about the False Security so many are lead to believe, being an indentured servant and just how important is money in living a life of abundance? I know you’re going to love this conversation and and want to share it with everyone. Shane and Jocelyn Sams are a real couple making their entire living selling digital products online via membership websites. 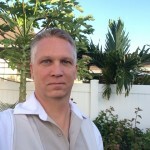 Their passive income business generates hundreds of thousands of dollars per year in profit while only requiring them to work 10-15 hours per week! In the spring of 2012, Shane had a horrible experience at work that made him realize he and Jocelyn had given total control of their time and life to others in exchange for a small but steady paycheck. An emergency involving their son, unsupportive management at work, and the realization that control of one’s time (life) was more important than the security of a 9-to-5 job inspired Shane to look for an alternative source of income. 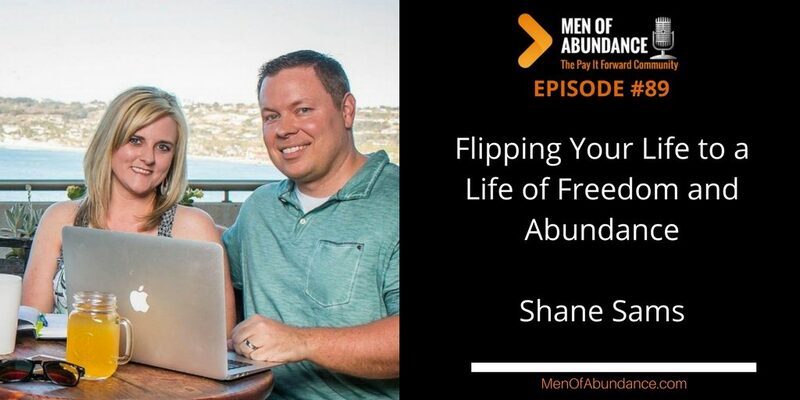 In the summer of 2012, on a rare day off work, Shane stumbled across a podcast about regular people changing their lives through online business. The couple started brainstorming about how they could do this, too. Shane and Jocelyn started a couple of websites. No one could have prepared them for what happened next. In just a few short months, Shane and Jocelyn were able to make thousands of extra dollars each month selling ebooks, training videos, and lesson plans online. Just twelve months later, they surpassed the five figure mark in online sales for a single month. When their August 2013 sales surpassed $36,000 (the equivalent of one of our annual salaries), Shane and Jocelyn decided it was time to stop working for someone else and start living for their family. In September of 2013, just one year after discovering online business, Shane and Jocelyn made the decision to quit their full time jobs to run their online business full time, and they have never looked back. Shane and Jocelyn now have more time for each other, more time to spend with their children, Isaac (7) and Anna Jo (5), and are making more money than they ever dreamed possible. In July 2014 alone, they were able to make over $140,000. Online business truly changed their lives and their family’s future forever. After cementing their online success, Shane and Jocelyn started the Flipped Lifestyle website and podcast to help other families change their lives through online business. They now offer training, coaching, community and accountability for online entrepreneurs in their Flip Your Life community. To learn more or reach out to Shane and Jocelyn, go to http://flippedlifestyle.com/. [16:12] So how did Shane and Jocelyn get started in this online business world? [23:20] What type of online business does Shane have and show others how to build? [31:50] What does Money have to do with Flipping Your Life and Living a Life of Abundance? [35:40] Action Steps you can take today. [38:40] What daily habits make the biggest impact in your life? [39:57] What are you reading or listening to right now and why? [41:44] What does Living A Life of Abundance mean to you? I’m alway stressing the importance of having some sort of a side hustle, side gig or an additional income stream that does not take away from your day job or too much of your family life. Yes, they are out there. And even if your side gig does take some family time each week, you could some day replace your day job if you so desire to pursue your side gig full time and spend much more time with family. Shane and Jocelyn have shown me ways I can give much more value to you with our Men of Abundance Community. In our next show (episode 090), Nick Loper is going to show you even more ways to start a side hustle in just about any niche. [16:12] So how did Shane and Joycelyn get started in this online business world? Aloha Kitty, first of all, thanks for reading the show notes. I was wondering if anyone did so. 😉 Second, thanks for pointing out the misspelled name. That’s very important to me. Aloha Gina, thanks for the comments and the kind words. My family and I look forward to visiting Maui in Feb when my oldest boy and his wife come to Oahu to visit.